Then on the title page along with her name is a picture of the girl with brown hair and fair skin just like her and who appears throughout the book! Now I See Me! offers several personalized children's books. They offered to send us I Can Change the World! 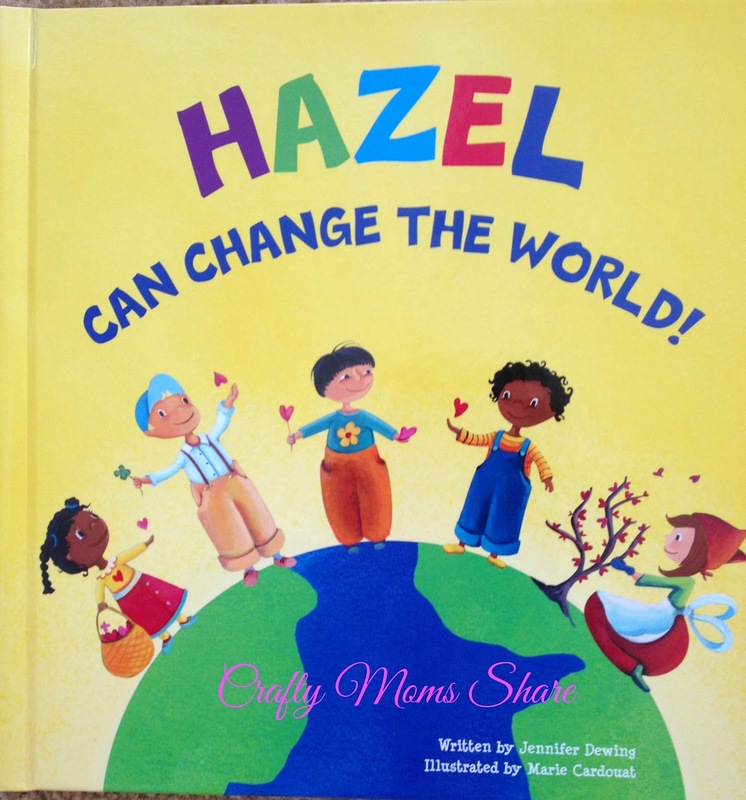 by Jennifer Dewing which is perfect for Hazel. 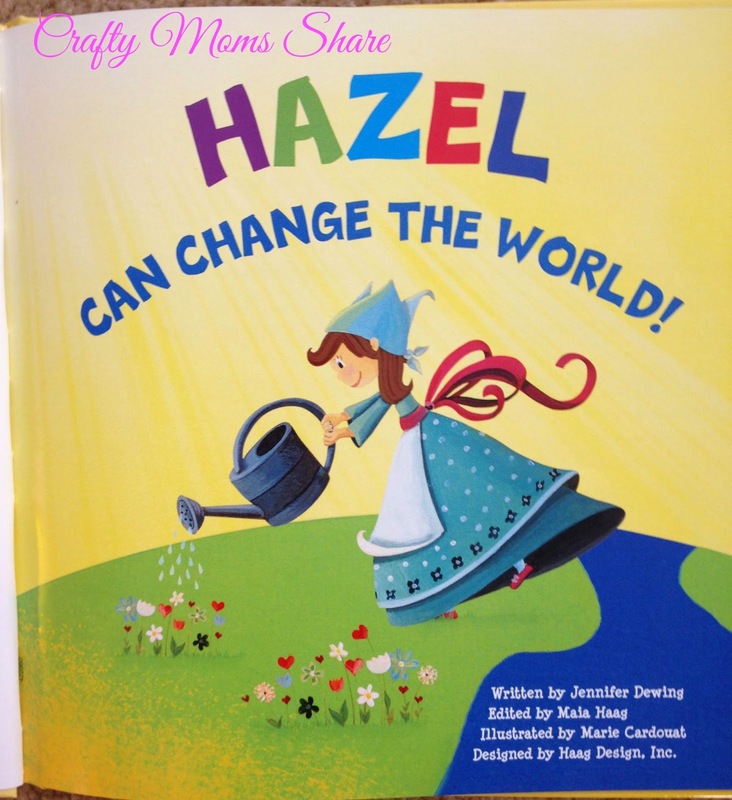 The story is about how each choice we make from smiling at someone to being kind can help change the world. 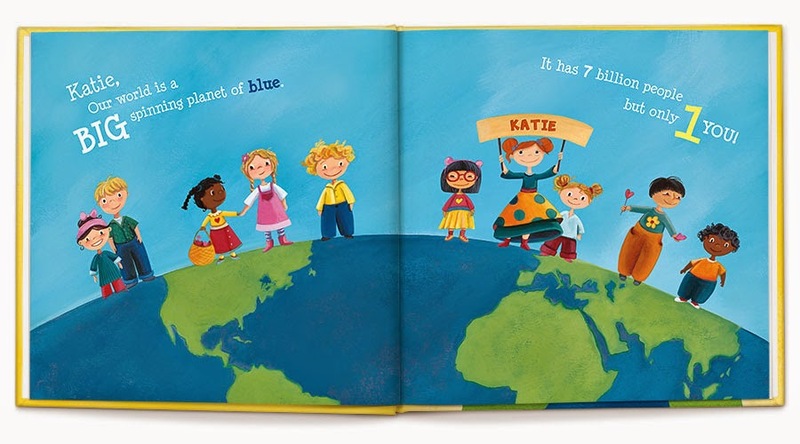 She loves seeing her name throughout the book in the pictures as well as the story and also loves that it is about spreading kindness. The first time we read it was at our local Starbucks and one of the employees mentioned that it was his nephew's favorite book as well. These books offer unique gifts. 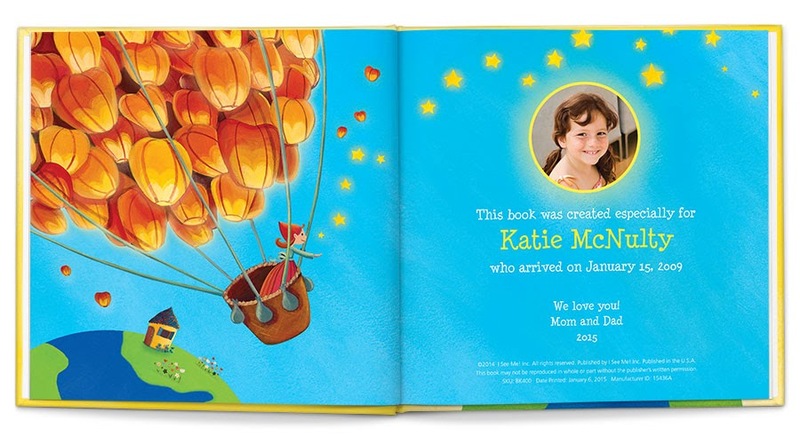 Each book has a personalized dedication page which includes their name, birthday and who the book is from along with a picture. 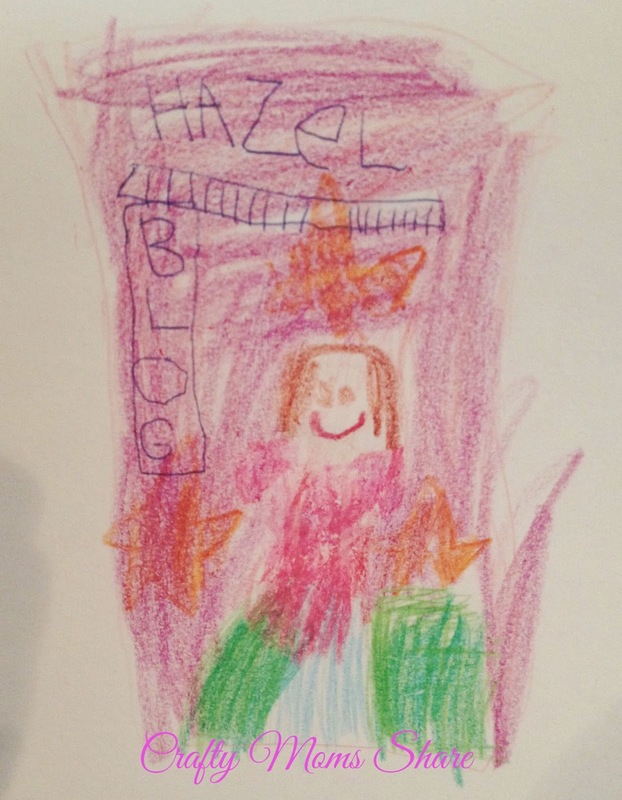 Hazel loved seeing her real picture in the book as well. The story itself is perfect and the pictures are fun and beautiful. Picture from I See Me! In the above picture from I See Me! you can see how they incorporate the child's name and the representative picture into the story. They also have Katie's dedication page. 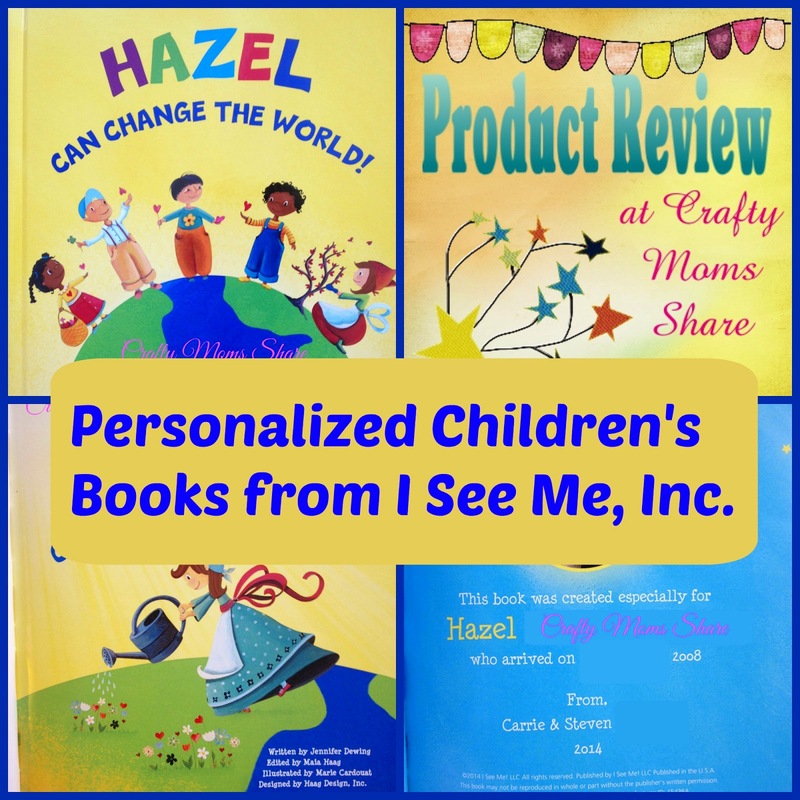 Personalized books are a wonderful gift for any child and especially for a child whose name is not very commonly found on things like Hazel's. If you have a child on your holiday list and need a unique gift, check these great books out. You will be happy you did! For Facebook, post your child's photo on our wall using #ShareYourSmile. For Twitter and Instagram, all you have to do is post the photo using #ShareYourSmile. For Pinterest, pin your child's smiling face to our #ShareYourSmile board. We look forward to seeing your smiles! Share Your Smile by ISeeMe! When you share photos, I See Me! will spread the love by giving $5,000 back to the Scary Mommy Nation Thanksgiving Project to help feed the hungry. Julie Bender at the popular blog Scary Mommy will be reviewing the book and putting her post up 11/4 (and featuring us in their holiday gift guide). She’ll also be spreading the word about #ShareYourSmile. And sign up for the e-mail for promotions, discounts and updates at http://www.iseeme.com/preference-center.html. 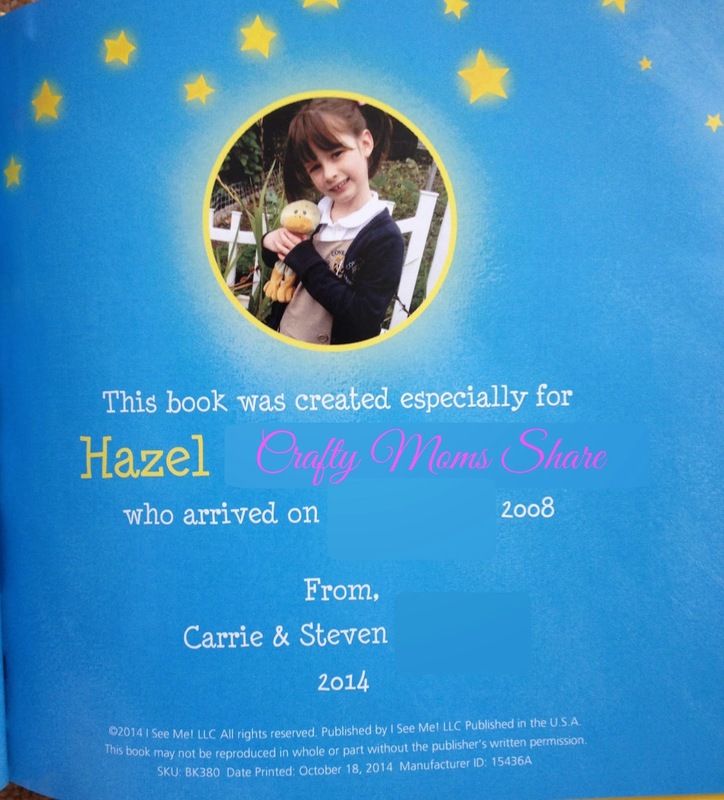 Now with any book or product I always like to see how it inspires Hazel. She decided to draw her own cover and then decided instead of it being a cover of her book it would be the cover of her blog that she is going to "write"/draw in her book since I won't let her have one on the computer. Here is what she drew. Personally I cannot wait to see her next post!